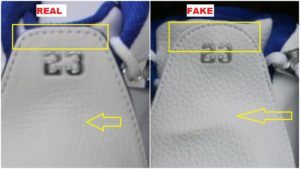 Here are quick ways to identify the Fake Air Jordan 12 CP3 Class Of 2003. I was able to find an authentic pair of the sneakers in size 9 while in my local mall about a week and a half ago to do a side by side comparison. The plastic tab on the mudguard is wider on the fake pair ( it almost occupies more than half of the space between the edge of the mudguard and the midsole). I added the yellow arrows and the circle so you can zero in on the differences. 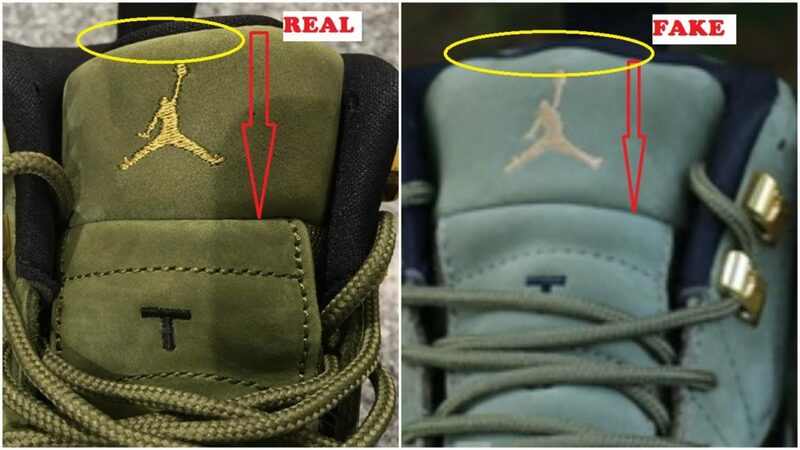 The authentic pair is higher than the fake one ( see both yellow horizontal lines). You’ll also notice that I added 2 yellow rectangles; they are meant to show you how higher the midsole at the back is on the fake pair ( check the gap). 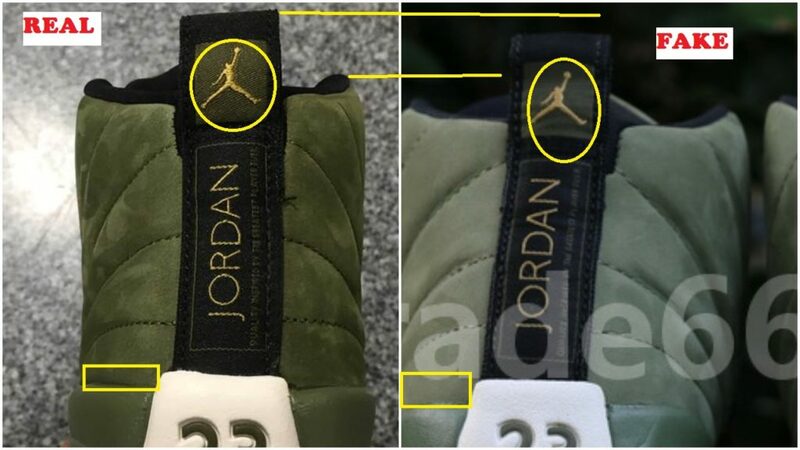 The jumpman logos slightly look different and the fake pair is bulky and wider than the real one. 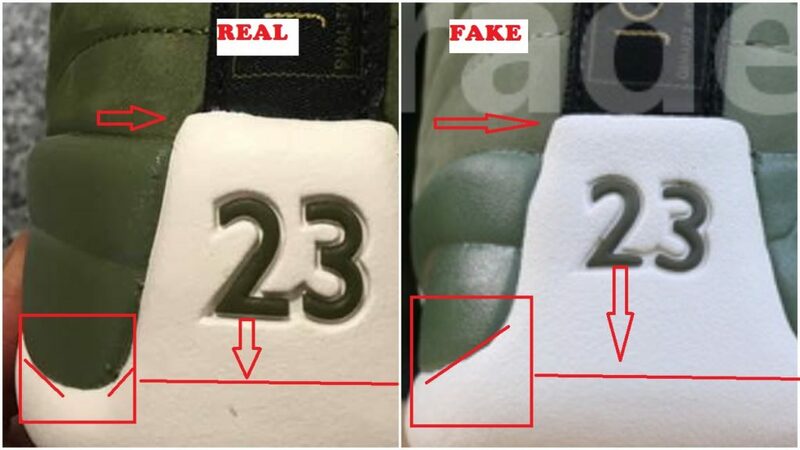 The #23 is placed a little too high on the fake pair ( it’s supposed to be at the center ), refer to the red horizontal lines and the arrow pointing down. 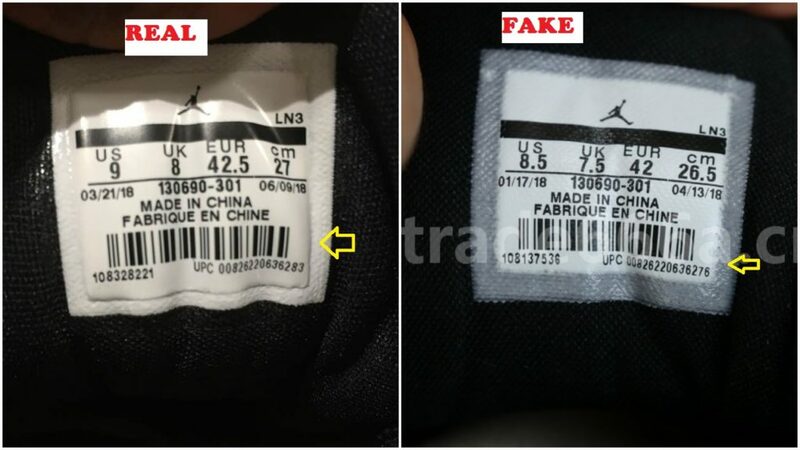 The edge of the midsole is curvy in the shape of a parabola on the authentic pair but the same edge looks like half a parabola on the fakes ( see red square with secant lines). 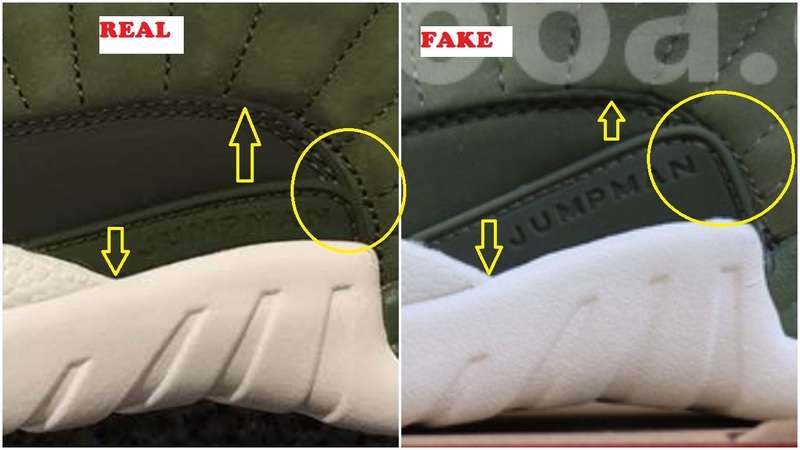 Not only is the edge of the fake tongue crooked and uneven ( see yellow circle) but the actual tongue is shorter on the fake, refer to red arrow. The toe box overlay is made up of a waterproof material I believe with apparent lines on the authentic pair. 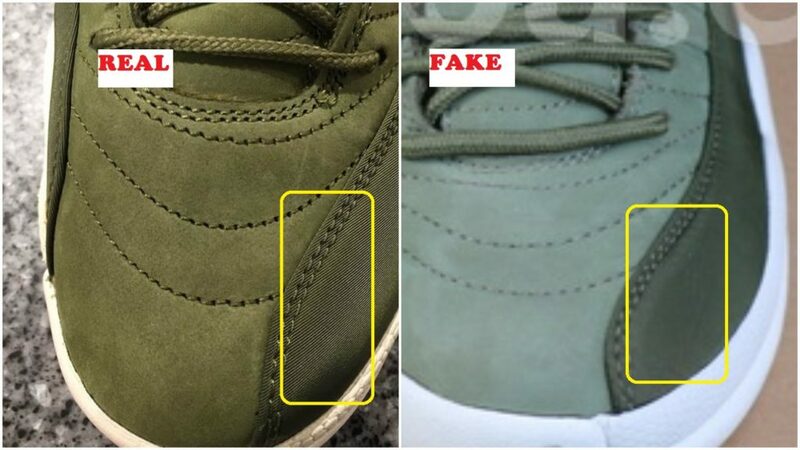 The material on the fake isn’t the same and the lines are missing as well. Don’t focus too much on the production date ( it’s still important to notice the differences) but look at the white area that contours the label: it is consistent on the authentic label but fading on the fake one. There you have it folks, I believe there is enough information here to bust the fakes. I’ll add more pictures if I come acros any other nuances. 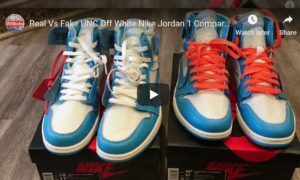 WHERE TO BUY AUTHENTIC PAIRS?